I have been a fan of Johnny Depp since he played on 21 Jump Street all those years ago. 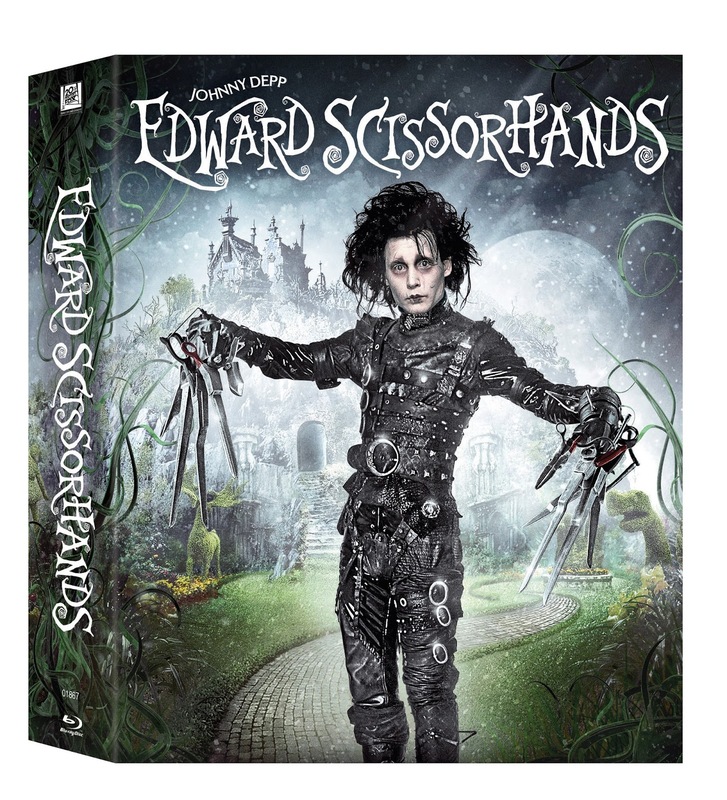 I have seen most of his movies and Edward Scissorhands just happens to be one of those films. This year marks the 25th anniversary of the movie and to celebrate they have released a special edition gift set. This was released on October 13th and is now available for purchase in stores. I am excited to sit down with my kids and watch this film; I remember watching it with my dad, and it was one that he really enjoyed. That makes it even more special for me to create similar memories with my kids. Tales of Mommyhood received a copy of the film mentioned above in exchange for this post. All opinions are honest and belong to ToM; your opinion/experience may vary. Hard to believe it's been 25 yrs.....great movie! I like Johnny Depp a lot but I wouldn't watch this movie, I don't like looking at Edward Scissorhands though I know he's supposed to be a gentle man, just with scissors for hands. I remember watching this as a 10 year old... Man, that was a long time ago! The movie freaked me out a little bit, but when I re-watched it as an adult it was quite enjoyable.